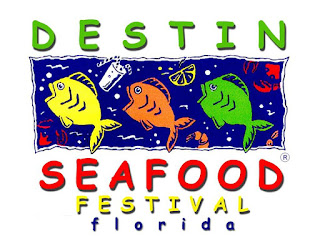 Don't miss the Annual Destin Seafood Festival for fantastic fresh local seafood, live music, vendor booths, arts & crafts on the Florida Emerald Coast - come enjoy the good food, good entertainment and great weather with friends and family. The best local and coastal musician's on the beach. With 3 stages of live Rock, Reggae, Country and Tropical music, plus fresh caught local seafood provided by local food vendors. Pull up a chair and enjoy or get your dancing shoes on!